What can you say about a book that already has over 8000 reviews on Amazon? Odd-ball genetics professor sets out to find a wife. He has a few stipulations: she must eat meat, must not smoke, must be punctual, and must like more than one flavour of ice cream. Along the way, he finds himself entangled with a late-arriving vegan smoker who is on a quest of her own: to find her genetic father. Much mayhem ensues. 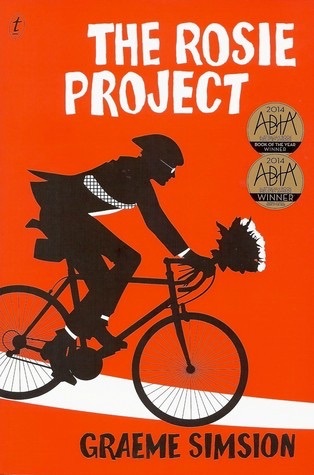 The Rosie Project by Graeme Simsion is fun. It’s quirky. Reading it reminded me of enjoyable hours spent on wet Saturday afternoons as a kid watching Cary Grant in black-and-white re-runs of zany romantic comedies. (I loved Cary Grant.) I smiled, I chuckled, I laughed out loud. My mum loved it, my sister loved it; my partner took the audio book version on long walks and came back with a smile on his face. And I also felt a little bit uncomfortable. Simsion has written the character of the narrator, Don Tillman, with compassion, empathy and humour. But for me – and perhaps this is a reflection of the author’s skill – sometimes Tillman’s obsessiveness, gaffes and social ineptitude struck a little too close to home. While his character is never labelled with a clinical diagnosis, there are hints that Tillman’s behaviour would register somewhere along the Autism Spectrum Disorder (Asperger’s having been excluded from the DSM 5, the latest Diagnostic and Statistical Manual of Mental Disorders). On the other hand, there are suggestions, too, that Tillman is simply a flawed human being who has deliberately retreated from the world of social engagement into his “head”, or intellect. Why? It’s a defence mechanism, one which protects him from the tumultuous emotions engendered by such social encounters. In this reading, it’s not a lack of empathy he suffers, but an inability to regulate his emotions: he suffers from emotional overwhelm. Many introverts, or anyone who has suffered social anxiety, might relate to such uncomfortability. The degree to which we can laugh with such a character, rather than at him, may vary with our ability to laugh at ourselves; this in turn might reflect the degree to which we still suffer the pain of social isolation and exclusion such defence mechanisms can create. The Rosie Project is a very good book and deserves its many fans. It’ll make a very funny movie. It just may not be for everyone. This review forms part of my Aussie Author Challenge 2015. What happens in a family where one child is diagnosed with a disability like autism? In primary school, I had a best friend who had two brothers and a sister, except the sister didn’t live with them any more. The term “autistic” was mentioned, but I had very little idea what that meant. All I knew was that there had been something wrong with her. She had never grown out of the “terrible twos”: her screaming and tantrums, her inability to communicate wants and needs, wore her (very kind and loving) parents down. She had been sent away to live in an institution, and my friend rarely spoke of her. I have a vague impression that the family visited her, but I can’t be sure. For the rest of us, she had ceased to exist as a person. This was a time before the government policy of de-institutionalisation, of supporting children with disabilities to live in the community. In those days, the policy for autistic children was “out of sight, out of mind”. But what would it have been like for my friend and her brothers if their sister had been kept at home? If the parents, in order to cope, had shaped every routine in the house around not triggering tantrums? If the “neuro-typical” – non-autistic – children had been asked to take second place – or not even asked, just relegated to that position? Would they have fantasised about what it would have been like to have grown up in a “normal” family? Maybe even been tempted to act out those fantasies? This is the scenario explored in Jodi Picoult’s novel, House Rules. In the story, eighteen-year-old Jacob is the “boy” who has Asperger’s, a high-functioning form of autism which manifests as an inability to recognise and respond to social cues, as well as a lack of empathy and imagination. Jacob’s long-suffering and devoted mother Emma has made every sacrifice for her son, leaving Theo, Jacob’s fifteen-year-old brother, longing for a very different family. The boys’ estranged father, Henry, has long since abandoned them, and, when we finally get to meet him, he too displays some characteristic behaviour of autism. A common feature of people with Asperger’s is a fixation on a particular area of interest, in Jacob’s case: forensic science. This fixation, in part, is the reason why the two boys find themselves embroiled in a dilemma concerning Jacob’s social skills therapist, Jess, a kind-hearted girl whom Jacob fears is being abused by her boyfriend. 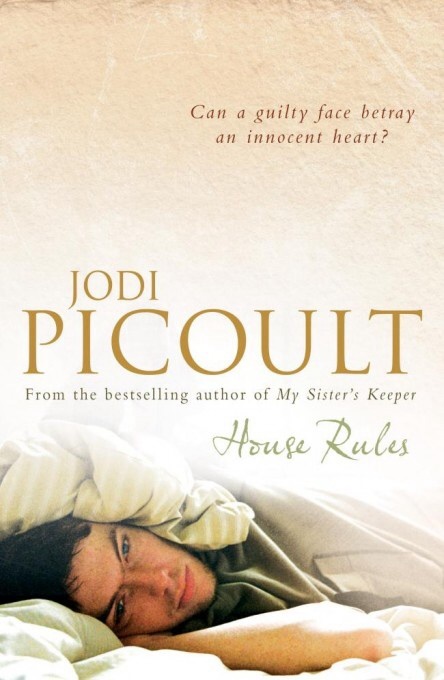 In House Rules, Picoult once again weaves a compelling story, one that had me engaged from the start and wanting to stay up reading long into the night. At the same time, I found the story frustrating. From at least halfway through, I could see that the main conflict could be resolved with one good conversation. Ending the novel, I was wondering whether I’d been cheated as a reader, strung out unnecessarily by an unrealistic narrative; or whether the frustration resulted in part from Picoult’s use of irony. After all, the only reason I knew one good conversation would resolve things was because, as a reader, I was privy to Jacob’s point of view; the other characters – crucially, for the plot – were not. A feature of autism is an inability to communicate simply, just as frustration is one of the dominant emotions felt by those living with autism, as well as the people who interact with them. So maybe leaving the reader frustrated was intended? Or maybe not. Whatever Picoult’s intention, House Rules is still a very good read. I borrowed a copy from the library.